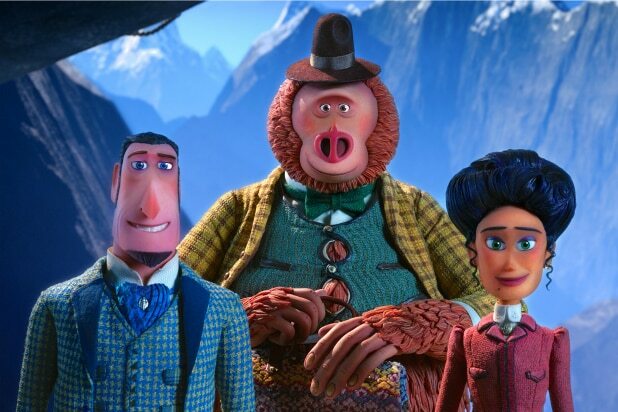 This week, the pioneering studio Laika returns with "Missing Link," the stop-motion animated family film starring Hugh Jackman and Zach Galifianakis. With "Missing Link" landing in theaters on Friday, TheWrap looks back at the history of stop-motion animation, going all the way back to the dawn of cinema. "The Humpty Dumpty Circus" (1898) Stop-motion at its most basic is an animation technique in which a filmmaker physically moves an object, taking photographs of each new position, creating the illusion of movement when the series of photographs is played in sequence. 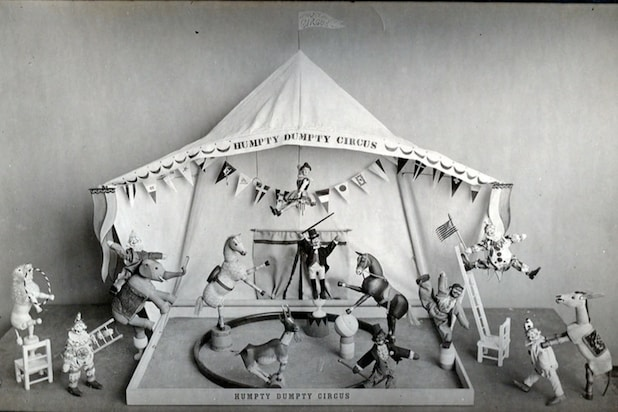 "The Humpty Dumpty Circus," created between 1897 and 1898, is believed to be the first film made using the technique. Directors J. Stuart Blackton and Albert E. Smith used their daughter's dolls to imagine acrobats and animals in motion. Unfortunately, the film has been lost to history, and it's not even clear if anything from it survives. In fact, stills purported to be from the film may actually be photographs of a popular children's toy set sold in the early 20th century. 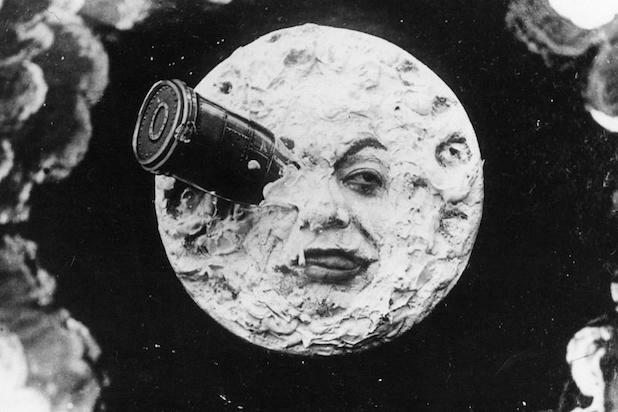 "A Trip to the Moon" (1902) Early shorts like "The Enchanted Drawing" (1900) or "Fun in a Bakery Shop" (1902) continued the development of stop-motion techniques, with actors on screen manipulating drawings or piles of dough as if by magic. Most famously, magician turned filmmaker Georges Méliès used the "stop trick" to dazzling effect for his sci-fi short "A Trip to the Moon." "The Lost World" (1925) Based on Arthur Conan Doyle's fantasy story of the same name, "The Lost World" is the first feature-length American film featuring stop-motion animation, and possibly the first such feature ever made. Animator Willis O'Brien developed several lasting innovations during production of "The Lost World." Among them were several dozen model dinosaurs, and a technique for getting stop-motion and live-action footage onscreen at the same time. These advances laid the groundwork for O'Brien's most famous stop-motion achievement -- 1933's "King Kong." "The Tale of the Fox" (1930) Polish photographer Wladislaw Starewicz took the stop motion style to new heights with this fully animated fable "The Tale of the Fox." The film's expressive puppet figurines of foxes, rats, cats and insects made with wax and wire served as a direct inspiration on filmmakers like Terry Gilliam and Wes Anderson for his "Fantastic Mr. Fox." "George Pal's Puppetoons" (1940) Animator George Pal is credited with developing the technique "replacement animation." Instead of requiring puppets to have a malleable head, Pal created numerous wooden heads each with slightly different facial expressions that could be replaced and used to convey any emotion or anything the puppet needed to say. In 1940, he started making short films for Paramount, and in 1944, Pal won an honorary Oscar for his technique. Jiří Trnka (1947) Known as the "Walt Disney of Eastern Europe," Czech animator Jiří Trnka once said, "A puppet is not a miniature human. He has his own world." Trnka's films starting in 1947 were made primarily for adults, and the studio's puppets had highly sophisticated designs and movements that made them more suitable for stop motion animation. Gumby (1955) and "Davey and Goliath" (1961) Art Clokey, a pioneer in clay animation ("claymation"), created Gumby for "The Howdy Doody Show" in 1955. He later developed the faith-based children's show "Davey and Goliath" (sponsored by the Lutheran Church). "Jason and the Argonauts" (1963) One of the most influential animators who ever lived, Ray Harryhausen was a protege of Willis O'Brien and worked with him until finally getting the chance to lead a project in 1953 with the film "The Beast from 20,000 Fathoms." Harryhausen developed the "Dynamation" technique that helped integrate the live-action with the stop-motion models. Harryhausen made his masterwork with 1963's "Jason and the Argonauts," with the scope of the film's skeleton battle and hydra creation being an ambitious leap above his previous films. "Rudolph the Red-Nosed Reindeer" (1964) In 1964, Rankin/Bass Productions, Inc. released this instant-classic stop-motion animated short on NBC. The Christmas special has since become a holiday tradition, regularly airing on CBS to this day. Rankin/Bass would go on to produce many more holiday specials, and these shows, along with Gumby, were instrumental in raising the profile of stop-motion for two generations of kids. "Sledgehammer" (1986) In 1986, rocker Peter Gabriel would work with Nick Park and Aardman Animation, the studio that would eventually create "Wallace and Gromit" and "Chicken Run," to make a music video for his song "Sledgehammer." Gabriel sat under a sheet of glass for 16 hours as every frame was individually, painstakingly photographed. The "Sledgehammer" music video would go on to be the most awarded-ever video at the VMAs, and it remains hugely influential to this day. "The Nightmare Before Christmas" (1993) By far the most ambitious stop motion animated film to that point, Henry Selick and Tim Burton's "The Nightmare Before Christmas" has 109,440 frames crafted by a team of 120 workers across 20 sound stages. It was made for $18 million and grossed $76.2 million, spawning a small wave of other stop motion films like "James and the Giant Peach" and "Gumby: The Movie" just as digital animation from Pixar was about to take off. "The Wrong Trousers" (1993) The "Sledgehammer" video was Aardman Animation's first big break, but it was their Wallace and Gromit shorts, about a handyman and his dog, that put them on the map. Their 1993 half-hour short "The Wrong Trousers" won the studio its first Oscar, a feat it repeated two years later with the sequel, "A Close Shave." "Chicken Run" (2000) Aardman Animation's first feature film was the first of a massive, $250 million, four film partnership between Aardman and DreamWorks. "Chicken Run" made $224 million worldwide off a $45 million budget. In 2005 however, Aardman suffered a serious fire in which all of their sets and memorabilia were lost. "Coraline" (2009) You can likely count on one hand the number of films that made RealD 3-D look like the next big thing, and "Coraline" was one of them. Henry Selick's film, the first for animation company LAIKA, still looks great today because computers were used only to enhance the traditional animation process. "Fantastic Mr. Fox" (2009) Prior to 2009, Wes Anderson looked like a stop motion animator who always shot in live action. He was destined to make "Fantastic Mr. Fox," the adaptation of the Roald Dahl novel. "I've always loved stop motion animation and I particularly wanted to do stop motion with puppets that have fur, for whatever reason that is. I've always liked that," he once told Collider.